Are you a gardener? Then, of course, you use hose reel to store it up after watering in your garden. But how much you know about the proper use of hose reel? Believe me, the proper using method can ensure maximum effectiveness of your hose that probably you don’t get now. 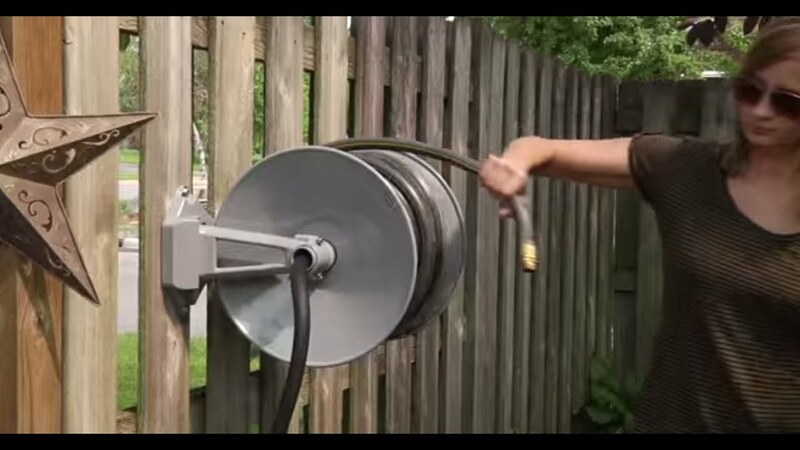 As like others gardening tools, the hose reel has some technique of using that actually ensure it’s proper working performance. But don’t worry if even you don’t know the using process perfectly. You are on the right track now. Because In this article I am going to bring up some killer tips on how to use a garden hose reel. So why late? Let’s see what are there in this article for you. When you are going to use a hose reel you have to go through some process. You have to maintain proper technique for setting up the reel to storing hose in it. Different steps require the different method of caring and maintenance. Here I have brought up the topmost tips of using a hose reel that you obviously should follow. First of all, nothing can be more important than handling a product carefully. When you are handling your reel and hosepipe, take proper care that no damage or leakage occurs in the process. Sometimes, it is seen pulling out the hosepipe very hastily and consequently, damage occurs. If you can’t recoil the reels yourself, take the help of others who are capable of doing it. Never harsh as then damage can cause. When you are operating you hose reel then you must know length and dimension of your hose. The length and dimension play a vital role in operating your hose reel in a right way. Because if you know the length of your pipe only then you can measure that how much capacity your hose reel has. Otherwise, your hose length may exceed the capacity of your reel. And it will result in damaging, cracking and leaking of your hose and. So in case, your pipe is longer than your reel, cut it with a sharp knife. Make sure that you are cutting the pipe straight, not in angles. Not only your pipe, your hose reel may be damaged if you place it in the wrong position or place. It is more important when you have a freestanding reel. Always place your reel inside the adjacent walls of your garden. After using the pipe immediately store the pipe in your reel and place it in the proper place. The longevity of your hose reel actually depends on proper maintenance. Make sure that your hose reel is not under direct sunlight as your hosepipe may damage by extreme heat. The heat can also expand the pipe that eventually may damage your reel even. Keep your hose reel always clean. But never use harsh cleaners. Use damp clothing to clean it. As a concluding line, I can say is that obviously, a hose reel is a very effective tool to store up your hose. But most important thing is that this effectiveness largely depends on whether you are using it properly. You cannot expect a good service from your garden hose reel unless you use it properly. And I hope this article will help you lot to use your hose reel in a proper way as you know now the way of using it. Visit MY Garden Planet to read more articles. Previous ArticleWhat kind of a Template Catches the Eye? Next ArticleLooking To Get Started With SEO? List of Occasions You Can Celebrate With A Bouquet Of Fresh Flowers!